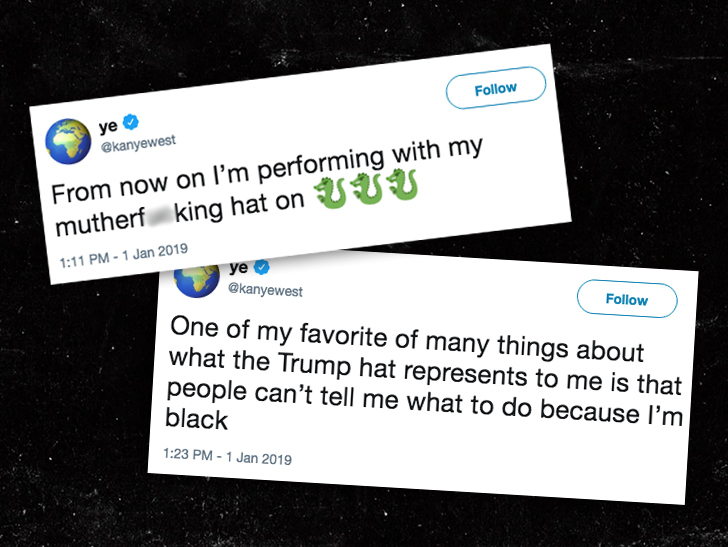 Kanye West handed over all his MAGA hats — apparently boxes of ’em — to his pal GLC, and according to the rapper Ye’s never wearing it again … but it wasn’t all bad. The G.O.O.D. Music rapper sat down for “The Red Pill Podcast with Van Lathan” and insists Kanye gave him his word he’ll stop demonstrating his support for President Trump by wearing the hat. GLC says they had a convo about it a few weeks ago. That’s interesting … because on New Year’s Day, Kanye went on a pro-Trump rant that ended with him praising the MAGA hat and vowing to wear it when he performs from now on. GLC suggests he’s had a change of heart and although he seems pleased Kanye’s decided to stop wearing it, he points out there was a major silver lining to his friend putting on the hat. Watch … we’re thinking Kim Kardashian, Alice Marie Johnson and thousands of prisoners might agree. Check out the full ‘Red Pill’ when the podcast drops on Tuesday.